We all want a home that looks as pretty and put together as our favorite magazines, yet it seems so impossible to achieve for the average homeowner. 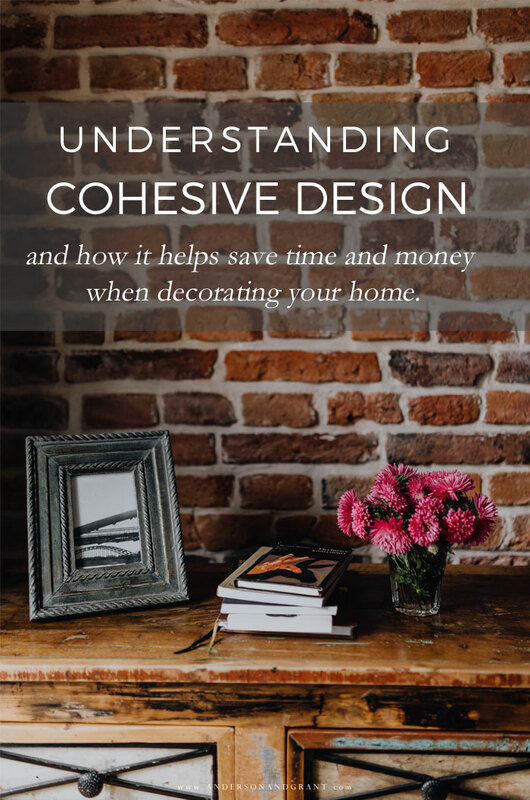 The secret behind creating those picture perfect houses is understanding how to create a cohesive design and it is easier than you might think....and will even save you time and money when redecorating! Have you ever walked into a house where it feels like one room flows right into the next? Or come across photos of homes on Pinterest where everything just seems to go together? Rather than seeing individual rooms, you are able to look at the house as a whole with each room connecting to the next. And in these instances, you likely assume that the person who did the decorating really knew what they were doing or had a large budget that allowed them to hire a designer who bought the best of everything. I mean, the average person can't possibly create a cohesive design all on their own and do it on a budget, can they? 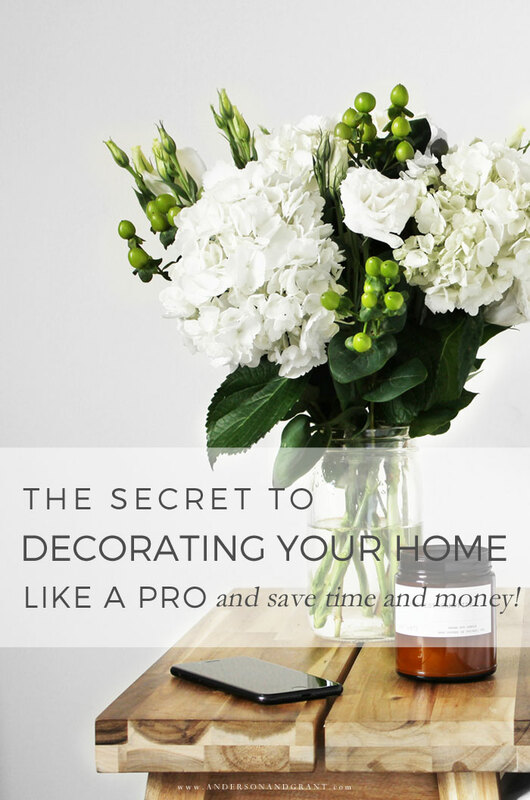 The more I dig into this topic as I plan designs for my own home, I realize that not only is everyone capable of designing the rooms in their home with a consistent flow, but it actually makes decorating easier AND saves money. But how is that possible, you ask? Let me explain. Designing the interior of your home involves choosing different elements that all need to come together with coherence. There are fixed finishes like your floor color, cabinet color, and appliances that you must design around unless you plan on completely starting from scratch. And then you've got choices to make for variables like paint, cabinet hardware, and fabrics for curtains and pillows. These things need to coordinate with the fixed items and with each other. When a redecorating project is started, we all tend to think about the room that we want to change, obviously. And while the finished room may look fabulous, it may also seem out of place with the rest of your house now because you designed for a single space rather than a house as a whole. To put it simply, creating a cohesive design means that you find a decorating "recipe" that you love and then stick to it from room to room. Each room will contain the same combination of colors, finishes, metals, and textures. There is no longer a need to reinvent a design each time you want to do a little redecorating. Your home becomes unified. WHAT DOES IT MEAN TO DESIGN WITH A COHESIVE LOOK? Same or similar paint colors from room to room. Coordinating wood tones - Choose two or at most three wood tones that coordinate together and are used throughout your house. Same finishes - for example, every room may have nickel plated knobs and hardware or aged bronze faucets and shower heads. Repeated elements - like the black tile (or a similar black tile) you choose for the entryway can be used around the fireplace. Similar color palette with a focus on neutrals - your design likely has a base of grays, blacks, whites, and tans for items that are difficult or expensive to change like flooring, tile, and paint. But then your pops of color, pattern, and style come in through what you add on top like rugs, pillows, and decor. DOESN'T THIS MAKE YOUR DESIGN LOOK BORING? You might be questioning right now why this idea doesn't lead to a boring or uninspired design. And I assure you that it doesn't. Just because you are choosing the same elements does not mean that every room will look just like the next. There are many different ways to incorporate your favorite design elements without repeating how you do it. You don't need to put shiplap on every wall and have identical lights hanging from every ceiling. You don't even need to choose light fixtures all in the same metal tone. You can have glass shade fixtures over the island, and a black wrought iron chandelier over the dining table ...as long as glass, and black metal are elements you've chosen. What is important is how well all of the colors, finishes, and textures go together when the room is completed. And even though the basic design elements are repeated in different ways around all of the rooms, what you layer on top of them adds the charm and style. The antique rug you lay on the floor in the dining room. The handmade patterned tile you install as the kitchen backsplash. The gallery wall you create with pictures of your loved ones. When those special moments are added on top of a similar backdrop, they each have the chance to shine in your home rather than compete with everything else in the house. WHY IS COHESIVE DESIGN IMPORTANT? This idea helps you to know what to choose when shopping without trying so hard or having to overthink exactly what would look best. You have already done a basic design plan and know what elements fit into it so you are able to eliminate everything that doesn't. How often do you come home with decor that you love, but can't find anywhere to put it in your home? Or even worse, you realize that you bought it on impulse and it isn't even anything you like now? Also, being equipped with a basic shopping list in your head can save you money because you are no longer buying random items that you find won't work in your home. A cohesive design gives you the benefit of being intentional with what you are choosing, rather than buying just to buy. And you can always move what you've bought to somewhere else in the house because everything coordinates together. Items from your rooms can be mixed and matched into any rom. For instance, you may want to spruce up the living room with a few new pillows for the couch, and because the pillow you already had also coordinate with your bedding, they can now add a pop of color or texture to a different room without a redesign. 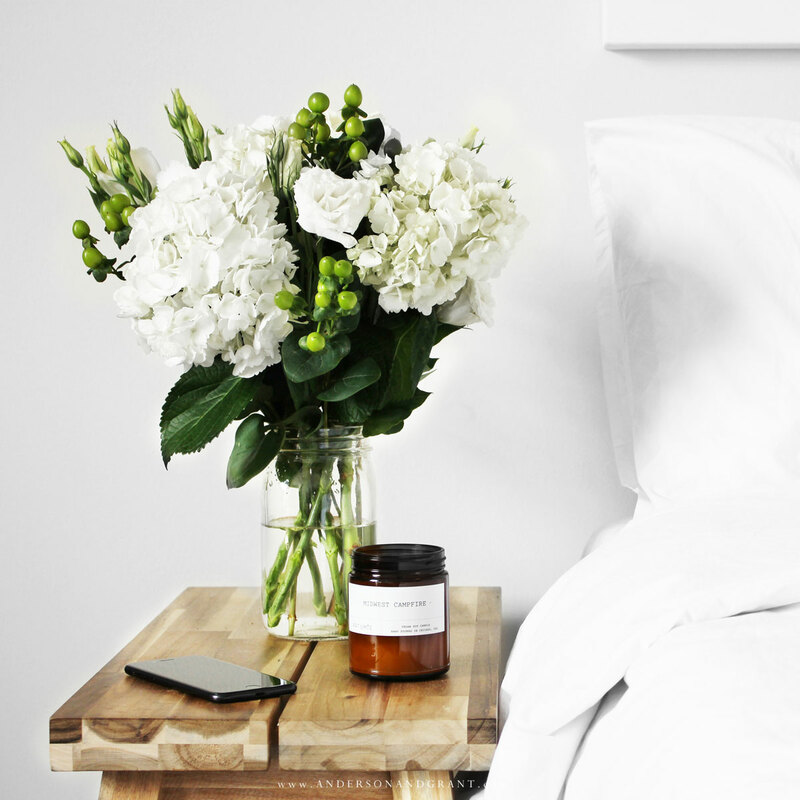 Homes that flow one room into the next can be calming both to your eyes and your spirit. 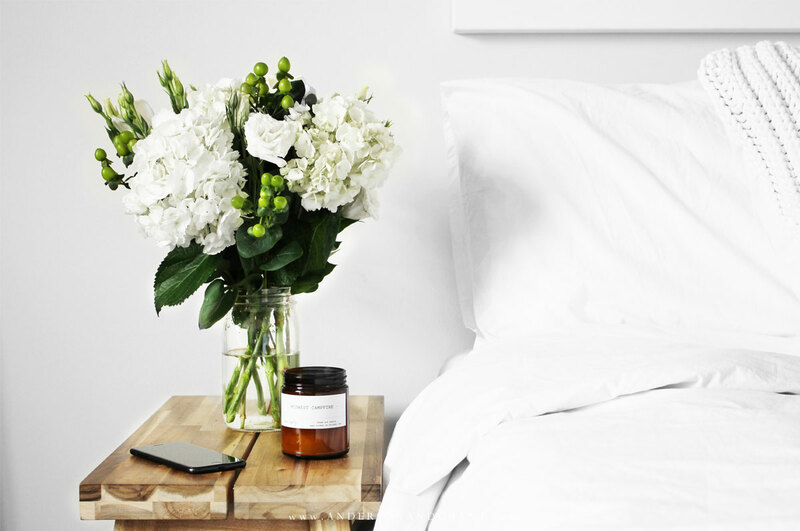 They seems uncluttered and open and give you room to breathe and relax. Although this type of design is especially important if you have an open concept home, it can be very beneficial when you have a smaller home with enclosed rooms. It will actually make the rooms seem larger because one space extends into the next visually and things don't seem so choppy and segmented. Creating a cohesive design for your home isn't necessarily about defining your decorating style, although your style can play into the elements you choose. It is more about how everything plays with each other. You no longer have to say that you have a "farmhouse" style and then figure out what that means. Rather, you can say that your style involves white shiplap walls, dark wood floors, and unique vintage finds. Many times, myself included, we find that we can't choose just one style. For instance, I like the modern farmhouse look, but also tend to choose decor that is industrial or even rustic. When decorating your home, it isn't important to be able to narrow in on one specific style name to define yourself. What IS important, however, is ending up with a home that you love. In some ways, I realize that this seems complicated, especially if it isn't in your budget to redecorate your entire house at one time. But it is something that you can start incorporating and thinking about now with one room and that plan will help guide you as you later decide to redecorate another room. And honestly, if you look closely at things you've purchased, you may find some common themes around what is already there. We do tend to buy according to what we love. You just need to focus in on those elements that you truly love and feel could be repeated from room to room and remove some of what is covering up the cohesive style that you already have. In regards to my own cohesive design, I'll be going into more details soon. 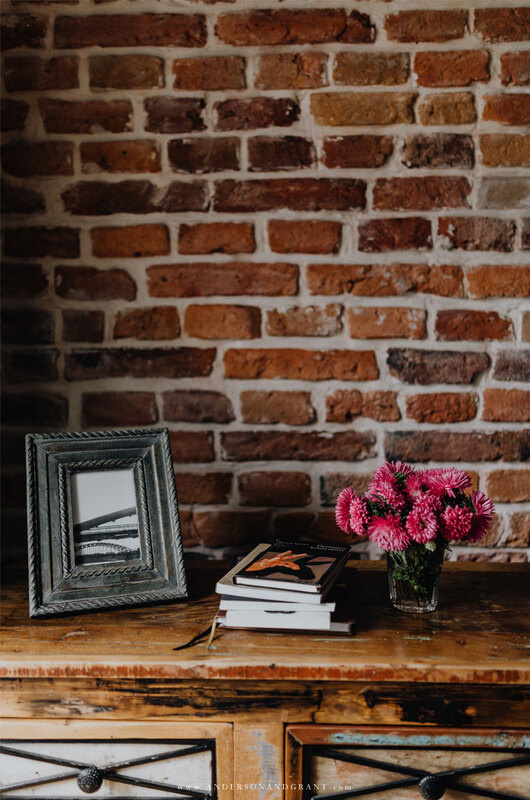 But when I think about how I want my home to come together, I envision a neutral color pallet with pops of blues, aged wood, white walls, thick chunky trim like what was common in older homes, dark hardwood floors, concrete countertops, and accents of black metals and glass. I'd love for you to share your thoughts on this decorating concept and what you think your own "cohesive" design entails.